This is the ARFX software package for use with the Enttec USB DMX PRO and DMX4ALL interface. If you already have Enttec USB DMX PRO device you can now enjoy the full Ambient Reality FX software for embedding Ambient Reality FX in your own lightshows and custom events! Great for dancing, theatres, DJ's or music concerts where large screen displays are being used. 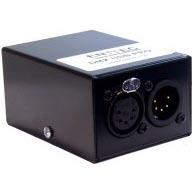 ARFX DMX supports up to 20! individual screen zones for controlling 1-20 seperately controllable RGB DMX lights. - PC with free USB port.